great-granddaughter of Eleanor and Franklin. The exhibit focuses on the conflict for Texas’ freedom. 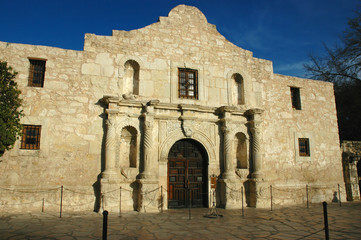 The Alamo; a Spanish mission, a Mexican fortress and the Shrine of Texas Liberty. On March 6, 1836 General Santa Anna’s forces overtook the Alamo, slaying all 200 Texans defending its walls. 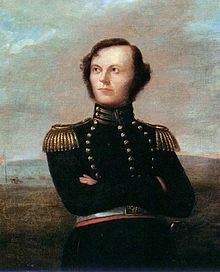 The Goliad Campaign of 1836 ended with the resulting Goliad Massacre. Unique artifacts, including Davey Crockett’s pistol from the Alamo and Fannin’s watch from Goliad will be on display. 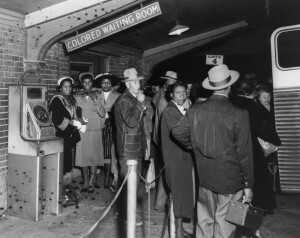 The Civil Rights Movement was a defining moment in the United States. During the 1960s Dr. Martin Luther King, Jr. made two important visits to speak in Dallas. The exhibit focuses on King’s 1963 speech in Fair Park and his 1966 speech at Southern Methodist University. Additionally, we look at a number of Dallas civil rights leaders who were active during this critical decade as Dallas transitioned away from being a segregated city. African-Americans, Latinos, Native Americans, and Women all served honorably in the armed forces and at home during WWI. While they all had to fight for the right to serve their country, a contested struggle was also going on at home for their equality. Whether it was for equal rights, the right to vote, or to even be American citizens their cause for justice and freedom under the law was a long and difficult one. The War on Two Fronts looks at a few of the many Texans who persevered under the most trying of circumstances. Chief Red Fox to Secretary of War Newton D. Baker 1917. 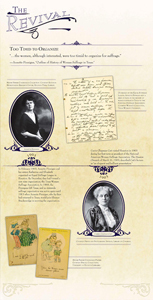 Based on the book Citizens at Last: The Woman Suffrage Movement in Texas and on an earlier exhibition of the same name by the Woman’s Collection at Texas Woman’s University Library, the exhibition uses archival photographs, newspaper clippings, cartoons, cards and texts to illustrate the struggle for woman suffrage in Texas. 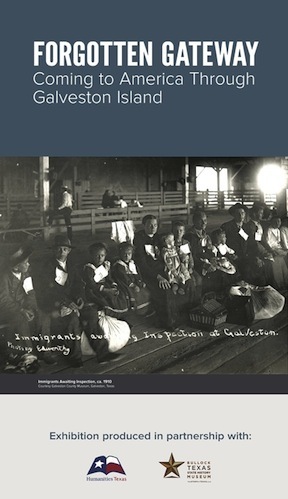 Exhibition produced by Humanities Texas, the state affiliate of the National Endowment for the Humanities, “Citizens at Last” is made possibly in part by a We the People grant from the National Endowment for the Humanities. 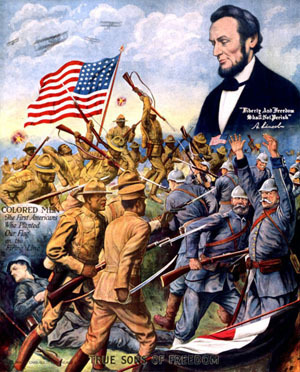 An exhibit to commemorate the 100th anniversary of US and Texas entry into WWI. The exhibit will draw on numerous private and museum collections. The exhibit will be held in the Great Hall, the Hall of Heroes, and the Margaret and Al Hill Lecture Hall/Auditorium. John Knott worked for the Dallas Morning News from 1905 until his retirement in 1957. During this time his artwork amassed to over 15,000 pieces. The archives of the DHS holds more than one third of this body of work. 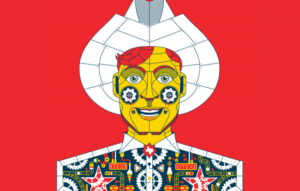 His most famous character “Old Man Texas”, was devised in 1906 to symbolize rural Texas, honesty in government, low taxes, and property ownership. His work was reprinted in many major American newspapers over the years. His work encompasses every possible aspect of the public’s interest from the humorous to the social conscience of the state and nation. The exhibit presents his work on many topics that are still of direct interest to a modern audience. 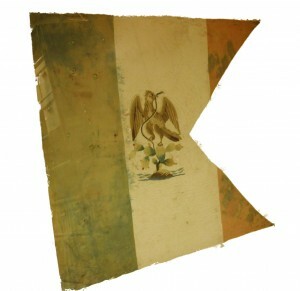 The exhibit will tell the story of the countries whose flags flew over Texas, the Kingdom of France (1685-1763), the Kingdom of Spain (1519-1821), the Mexican Federal Republic (1821-1836), the Republic of Texas (1836-1845), the Confederate States of America (1861-1865), and the United States of America (1846).. On display will be rare artifacts from each country focusing on the time period that country claimed Texas as their own. In 1936 Polly Smith, a 27-year-old photographer undertook her first professional assignment, to photographically record the entire state of Texas. She crisscrossed the state by air, rail, and car to illustrate all of Texas for America. Her work was presented at the 1936 Centennial Exhibition and is a permanent part of the Hall of State. The body of her work from that laborious journey is held in the Dallas Historical Archives and is the basis for this exhibit. On June 19, 1865, General Gordon Granger stood at Galveston Bay and pronounced that all African American slaves living in Texas were free. Because of the war, no one in Texas had heard word of Abraham Lincoln’s famous Emancipation Proclamation, the law he signed abolishing slavery in America. In 1989, the day was declared an official state holiday. 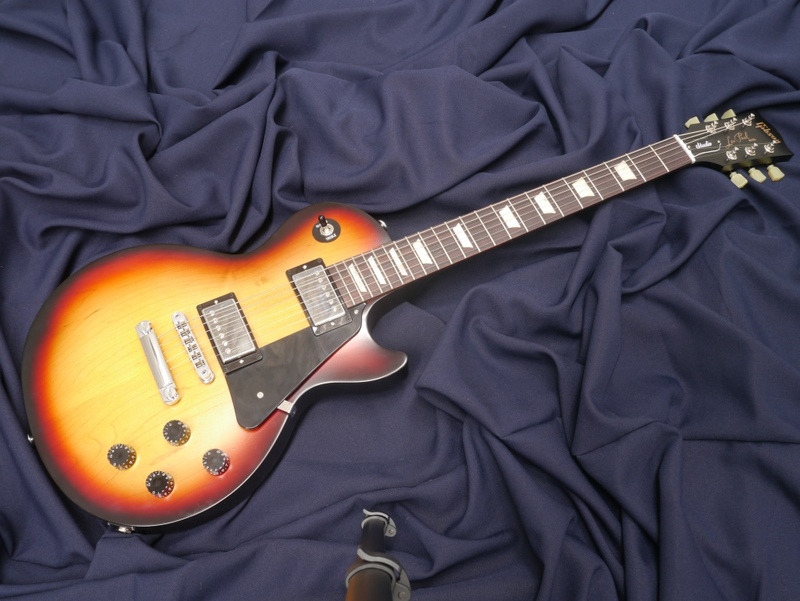 Items on display will include the only known original copy of the General Order No. 3. After a history-making run at the Grammy Museum in Los Angeles, The Taylor Swift Experience™ is making its way to the Lone Star State with a brand new collection of memorabilia from the superstar’s archive as a featured exhibit at the State Fair of Texas. The famed exhibit takes fans through her journey as a singer, songwriter and global superstar, showcasing memorable performance costumes, tour photos, and instruments. The exhibit also features a special collection of memorabilia that has never been displayed in this unique combination before, such as the light blue Reem Acra gown she wore at AT&T Stadium in Arlington, Texas during the ACM Awards 50th Anniversary. The Fair is thrilled to host this one-of-a-kind exhibit in the historic Hall of State building, with the excitement of providing an attraction that appeals to all ages. 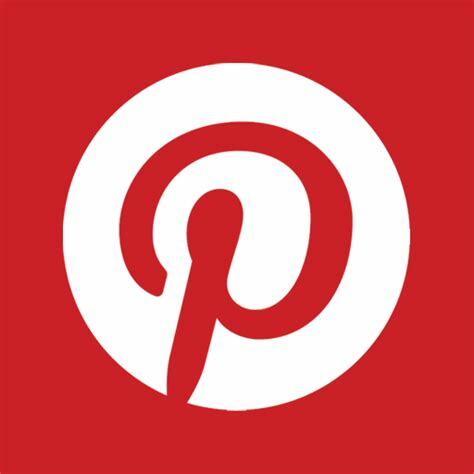 Diehard fans are sure to recognize some of Taylor’s trademark wardrobe pieces, from the rhinestone-studded ringmaster ensemble she wore for “We Are Never Ever Getting Back Together” on The RED Tour, to the custom-beaded outfit she wore at the 2014 American Music Awards when she premiered “Blank Space.” Regardless of age or musical preference, visitors will gain a better understanding of Taylor’s achievements that led her to super-stardom and her impact on the entertainment industry worldwide. During the run of the exhibit the film “Taylor Swift: In Her Own Words” will be playing in the Margaret and Al Hill Lecture Hall. This exhibit is free to the public, however State Fair admission and parking fees are required to enter Fair Park where the Hall of State is located. A hands on exhibit for children and adults alike that explains the day to day life of Texas’ western heritage through hands on activities and displays. In the early 1970’s, noted Texas historian Joe Frantz offered Bill Wittliff a once-in-a-lifetime opportunity to visit a ranch in northern Mexico where the vaqueros still worked cattle in traditional ways. Wittliff photographed the vaqueros as they went about these daily chores that had changed little since the first Mexican cowherders learned to work cattle from a horse’s back. The exhibit features special collections from the holdings of the Dallas Historical Society dating to the Texas Revolution for independence. 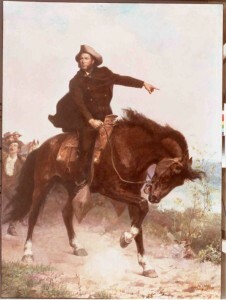 This special one day exhibit at the Scottish Rite cathedral and library of Dallas is in conjunction with the speaker on the history of the Battle of the Alamo. Striking at the depth of the Great Depression, the Dust Bowl blasted the hopes and hard work of people in the Great Plains. For those who lived through it, the experience was unmatched as an example of ecological calamity and a test of personal will. The Dust Bowl can bridge the gap between generations and promote understanding of the pioneering will to prevail in the face of immutable laws of nature. The exhibit focuses on the conflict for Texas’ freedom. The Alamo: a Spanish mission, a Mexican fortress and the Shrine of Texas Liberty. On March 6, 1836 General Santa Anna’s forces overtook the Alamo slaying all 200 Texans defending its walls. 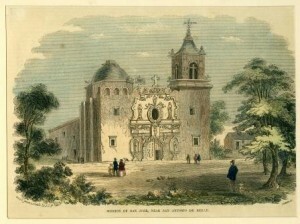 The Goliad Campaign of 1836 ended with the resulting Goliad Massacre. Unique artifacts, including Davey Crockett’s pistol from the Alamo and Fannin’s watch from Goliad, will be on display. Exhibit features items from the DHS collection that belonged to John Neely Bryan (1810– 1877). In November of 1841, Bryan settled on the east bank of the Trinity River, not far from the present location of downtown, and founded Dallas. Texas music is celebrated not only here in our great state, but all across the country. 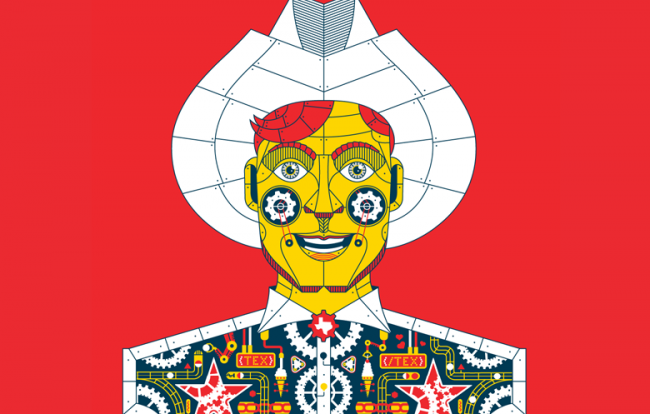 “Big Texas Music,” honoring well-known Texas artists through memorabilia, audiovisual displays and social interactives, as well as daily live music performances from a wide variety of artists. 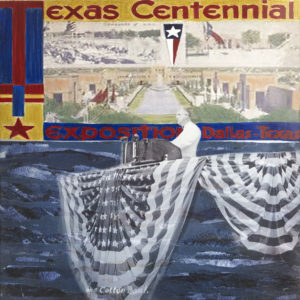 The exhibit features both artists who were born in Texas and those who have lived here and consider themselves natives. Spanning numerous decades, “Big Texas Music” showcases famous Texas musicians from every genre, celebrating the diverse range of talent hailing from the Lone Star State. Check out “Big Texas Music” daily from 10 a.m. to 7 p.m. in the Hall of State. Entrance to this exhibit is FREE with State Fair admission. Check out the lineup of live performances! R. C. Hickman was a Dallas photographer whose thousands of images produced from 1949 to 1961 document life in an African American community in Texas. His photographs depict a community largely invisible to white Americans—thoroughly a part of mainstream America by virtue of accomplishment and lifestyle but excluded from it because of race. His images reveal his awareness of the broad community context within which individuals survive, grow, and understand themselves. 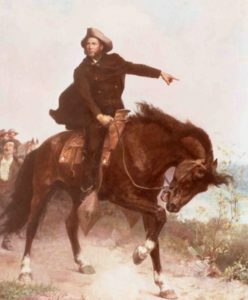 The story of the Texas Revolution for independence told through rare artifacts. The exhibit focuses on the heroes, engagements, uniforms, and weapons of the conflict for Texas’ freedom. 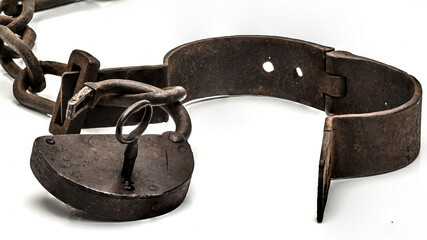 On display are unique artifacts such as Davey Crockett’s pistol from the Alamo, Fannin’s watch from Goliad, a medal for valorous service to Mexico, and Santa Anna’s spurs from San Jacinto. 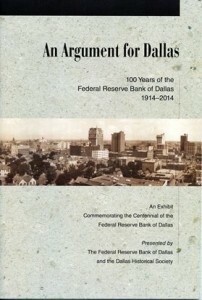 Learn about the arguments that civic leaders made on behalf of Dallas as they sought to win a reserve bank for the city. Examine the history of the Federal Reserve Bank of Dallas and learn about the Bank’s service to the Eleventh District and to the American people. Rarely seen items from the DHS collection will be on display in the Great Hall to commemorate the Mexican army’s unlikely victory over French forces at the Battle of Puebla on May 5, 1862, under the leadership of General Ignacio Zaragoza Seguín. Items on exhibition will incorporate several Mission San José y San Miguel de Aguayo artifacts dating from 1720-1840 including an iron crucifix and lamps, door lock with key, wooden crucifix, Spanish made pistol, images of the church and rose window. Come to the Hall of State and see a special, limited run exhibit on Texas’ Independence. See rare items from our collections including Sam Houston’s report on the Battle of San Jacinto, the minutes of Texas’ first Constitutional Convention, James Walker Fannin’s pocket watch, and more. This limited engagement exhibit will run from Saturday, February 22nd-Sunday, March 8th. Comanche Nation: The Story of Quanah and Cynthia Ann Parker is a traveling exhibit of rarely seen photos of Quanah and Cynthia Ann Parker. 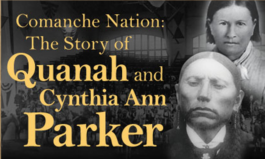 Cynthia Ann and Quanah Parker are two important names in U.S. frontier history. Much can be learned from the dramatic story of these two courageous individuals. In 1836, a Comanche raiding party took Cynthia Ann from her family. Over the following years, she became wife to a Comanche chief and mother to children, including Quanah. After Cynthia Ann was taken back by Texas Rangers, Quanah became one of the most important Comanche leaders both in war and peace. The State Fair of Texas and the Dallas Historical Society, in cooperation with the Texas Sports Hall of Fame, present a new exhibit honoring a selection of individuals who have contributed to athletic history in Texas, titled “Texas Sports Legends.” The exhibit will be open daily during this year’s State Fair of Texas, September 26 through October 19.